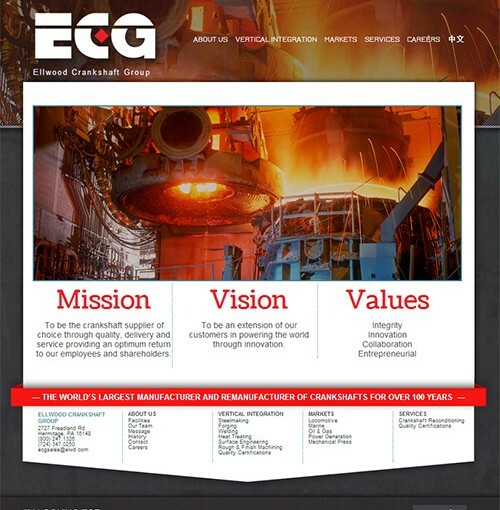 Ellwood Crankshaft Group was looking for an easy way to manage their website content, improve the look and feel of the site and improve search engine visibility. The look and feel of the site was designed keeping the parent company, Ellwood Group Incorporated, branding in mind, but making it apparent that it was their own website. They have recently expanded their website to include Chinese Content to accomodate their customers in China. They will also be adding other languages, all using c80 CMS.